On March 14, 2019, the annual Dade County Youth Fair made a comeback. 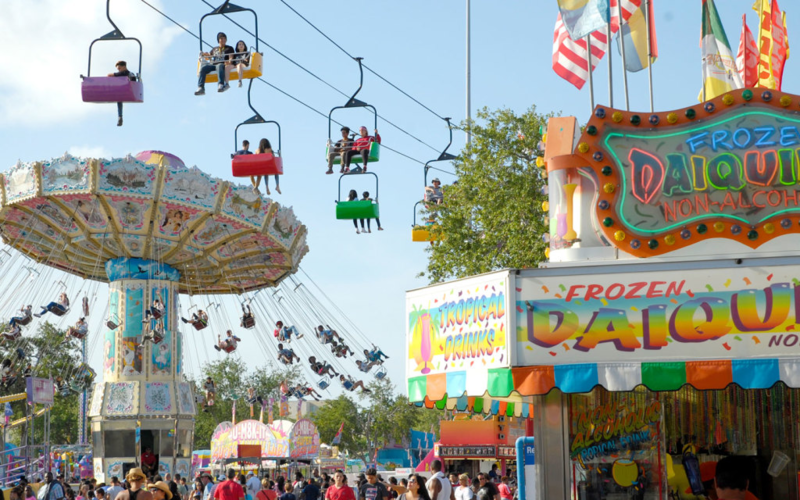 With tons of spectacular rides, booths with entertaining games, and a variety of carnival food, the 2019 Youth Fair is better than ever this year. Open until April 7th, there are endless attractions that eager visitors can ride. For teenagers and adults, there are fifty-two rides and rollercoasters varying in intensity. There are rides that are not for the weak of heart like the Mega Drop or the Ring of Fire, and more simple rides like the Swing Tower and Tilt a’ Whirl. For children, there are forty-six attractions so they can get a taste of the fun too. Apart from just these attractions, there are countless booths offering traditional carnival foods like curly fries, funnel cakes and elephant ears. This year, the Youth Fair offers gourmet foods like Dee’s Waffles, Miami’s Specialty Crepes, and the Meatball factory. There are over 150 booths for people of all tastes to choose from. Every year, many different performances take place at stages set up around the carnival’s premises. Prominent artists will be making appearances throughout the duration of the Youth Fair such as Becky G, Farruko, and Zach Williams. Local artists will perform on stage as well. Bands like Supergold, Cloud Pavilion, and Midday Moon (their drummer being proud Ferguson senior Di’Angelo Gonzalez) will present their music to new audiences looking to expand their platform. General admission to enter The Fair is only $10 when bought online or at participating Sedano’s supermarkets. Take a trip to an experience you will never forget!